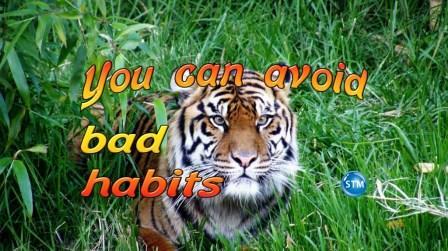 Are you a victim of bad habits? This Wisdom of Proverbs points out 2 bad habits to avoid. Lesson focus: Proverbs 23:19-21. Bible lesson background: Proverbs 23:19-21. Hear thou, my son, and be wise, and guide thine heart in the way. 20 Be not among winebibbers; among riotous eaters of flesh: 21 For the drunkard and the glutton shall come to poverty: and drowsiness shall clothe a man with rags [Proverbs 23:19-21 (KJV)]. ‘Guide thine heart in the way’. This has such a poetic flare but it means to keep your mind on what is right. My fav Bible meaning is from Good News Translation: ‘give serious thought to the way you live’. Another way to look at this is be mindful of living right to please God. I urge you to think about the things you do and the way you live. Get rid of bad habits. Did you know the Law required that a ‘glutton and a drunkard’ be stoned (hit with stones) to death? The parents of a ‘rebellious (disobedient) son’ were to take their son to ‘elders’ and say “he is a glutton, and a drunkard.” ‘All the men of his city shall stone him with stones’. Read Deuteronomy 21:18-21 (20-21) for the full details. Using substances that alter your way of thinking are not good habits for you. As a matter of fact, I am clean and sober since March 1977. I speak from experience. Thank you Lord, for removing the appetite for drugs and alcohol. Both WERE bad habits that made me someone I was not proud of. What is a winebibber? Don’t feel bad if you don’t know, I didn’t know either until I did some research. The short answer is those who drink too much wine; a drunkard or alcoholic. Be wise my friends, you are advised to avoid people who drink too much, see 1 Corinthians 5:11. More importantly, you should not allow this bad habit in your life. Alcoholics will not live forever with the Lord, 1 Corinthians 6:9-10. No, this is not talking about cannibals! ☺ In modern English, this means those who eat too much food. To better understand this, verse 21 points out that a person who does this is a ‘glutton’. In fact, the word ‘glutton’ implies greed. Gluttons and greedy people want/eat/get more than they need. Avoid the overeating! Make your steps clear to me, O Lord; give me knowledge of your ways. 5 Be my guide and teacher in the true way; for you are the God of my salvation; I am waiting for your word all the day [Psalms 25:4-5 (BBE)]. Are you a victim of bad habits? Be wise child of God, I urge you to use self-control and avoid drinking and eating too much. You can avoid bad habits with the help of the Lord. Deuteronomy 21:18-21 (20-21); 1 Corinthians 5:9-13 (11) and 6:1-11 (9-10). Psalms 25:4-5; Ephesians 5:15-21 (18). Like it or not you have good ? and bad ? habits. Is overdoing it with wine and/or food a problem??? #habits. Visit this 9-minute-read Bible lesson; click on/tap the picture or link. Works well on all devices ? ? ?